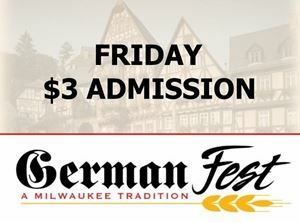 Valid for one general admission FRIDAY July 26, 2019 at German Fest. This ticket can be printed at home or scanned from your mobile device if the ticket has been downloaded to your phone. 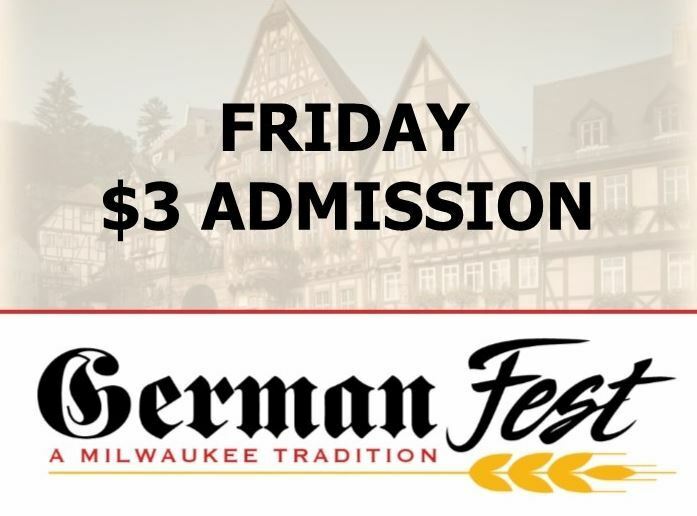 Valid for one general admission FRIDAY July 26, 2019 at German Fest. Valid for one general admission on Saturday or Sunday any time during public operating hours at German Fest 2019. This ticket can be printed at home or scanned from your mobile device if the ticket has been downloaded to your phone.